We’ve all been there, spending hours scouring the internet for the ideal job board, the ideal jobs and the ideal recruiter, we’ve tried to be proactive about finding our next job but it’s easy to get disillusioned when you put so many hours in and you don’t hear a thing back. Not a sausage. I’m sure you’ve got some great experience and I’m sure you’ve got that super personality that your next employer is looking for...but unless you get that across in your job application in a way that ‘wows’ potential future employers then trust me your phone won’t start ringing off the hook! 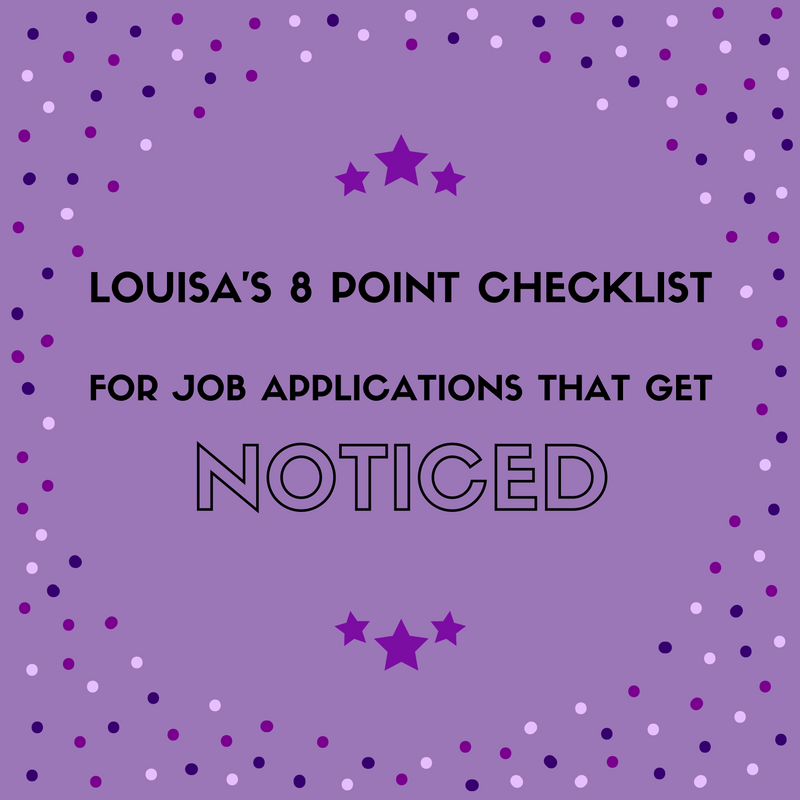 But don’t feel too disheartened, follow my job application checklist and make sure you get these things right to stand out to recruiters and future employers! 1. Does your CV stand out from the rest? Don’t be afraid to ask your recruiter for advice, we see CVs every day and can help you with ideas for how to improve yours. 2. Are your social media profiles letting you down? These days talent teams, recruiters and hiring managers screen people’s social profiles alongside job applications. They consider the impression they have got of the CV and how that person presents themselves on social media. I know of a candidate that lost a dream career opportunity due to a particularly vigilant hiring manager who took the time to check her social profiles. She was (in her own words) “quite frankly shocked” at the type of postings on her Twitter feed and she had to consider the fact “if we can see this then our clients can too” and her application was declined at that point after a fantastic first interview. On Facebook? Twitter? Have you checked your settings? Future employers can see any public content you post. Make sure it’s appropriate! Would you hire you from your social profile? Got a LinkedIn profile? Then use it! Your LinkedIn career history should match your CV... if not why not? It begs the question which one is the truth? Why do you have 2 different versions? Use your LinkedIn profile as another way to sell yourself and as another tool to make you stand out from the rest; and don’t be afraid to ask for recommendations, the more you have the more credible you will be perceived. Believe me, people read these. Don’t have a LinkedIn profile? Then get one! 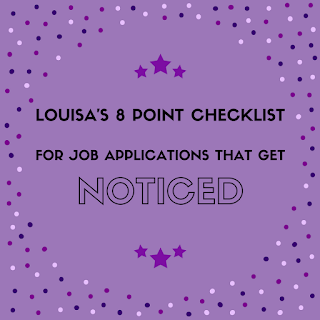 It won’t take long and it can really help you with your job search. 3. Have you attached your CV to your application? Double check your CV is attached. This may be your only chance to get your foot in the door of a company – make sure you don’t fall at the first hurdle! 4. Have you checked your spam? This happens every day. First responses to applications from recruiters and employers can come by email and it’s very easy for them to end up in junk/spam folders. You might be lucky enough to have someone that sends you text or that calls you too, to let you know they’ve responded. But you might not. The shortlist might have already been agreed by the time you have even realised you have missed it. Check your spam and junk daily and offer a prompt response, don’t miss out on that all important invitation for a telephone interview! 5. Are you following up your applications? A great application is always nice to receive, but a phone call to follow up the application (on the day or day after) always makes a candidate seem more keen; and if there has been a response that you haven’t received you will soon find out while there is still time. If you are looking for a sales role, it shows that go-getting approach that I am looking for! 6. Are you applying for relevant jobs? Are you applying for jobs that fit with your skills and experience? Don’t go for too much too soon – we all want to earn a six figure salary, but when you’re fresh out of university, that’s not usually realistic! Equally, don’t just apply for everything because you’re desperate to move on. Not many people want to take a £20k pay cut after 25 years experience and employers know that and assume you won’t be sticking around for long. I have had good candidates turned down for this reason in the past. Be realistic. If the job says you need 5 years’ experience and you only have 6 months, maybe this one’s not for you. 7. Are you working with the right recruiter? See my previous article on 6 Signs of a Top Recruiter. Don’t work with recruiters that treat you like a number, these recruiters are usually inexperienced and they are just trying to meet their call or interview quota without a care for the quality of the match on either side. Find a recruiter that listens to your requirements and matches these to a great role. Find a recruiter who prides themselves on doing a great job and who you trust to do just that! Work together with your recruiter. If the role they’ve sent you isn’t the one, tell them and tell them why. Don’t just avoid their calls and hope they’ll go away – you might need them again one day! 8. Is your covering letter relevant to the position advertised? How can you expect to be seriously considered for the Field Sales role you’ve applied to when your cover letter reads “I am writing to apply for the job of Dental Hygienist”. Yes, it happens! All the time! Re-write your cover letter for every application. If you’ve dated it, make sure you re-do the date. Nobody wants to see a covering letter that you’ve re-used from 2002! Finally, remember, it’s not all about your CV and cover letter...these aren’t your end goal. You are aiming for an interview. Make sure you follow up to check your application has been received, introduce yourself on the phone and find out about the process. Follow up again, make sure you ask how likely it is that you’ll make the shortlist, and if you don’t, ask for feedback. People can have the best CV and cover letter but they are just one of hundreds of anonymous emails that can easily get lost if these steps aren’t followed. Follow these tips and I think you’ll find your phone starts ringing! Best of luck! Before long, you’ll find yourself in that dream role you’ve been hoping for. I’m sure it’ll be worth the wait! I find your post very useful for those who are looking for a job. Actually I have already found a job thanks to this service essayfactory.uk/resumes They helped me to write my resume. This is a great article! I agree that the creative approach is important in business. But I'm not a creative person so I use these https://paidpaper.net/essay-coupons/, it helps to clearly express my thoughts and add the literary variety. Great article and advices in it, I was just thinkung to buy essays online about it and suddenly I found your post and you know, it helped me a lot, thanks for that. An excellent checklist, but my CV was ordered by professional writers because it increased my chances of getting a job, I also note that it's the guys where you can buy research paper. If you aren't the most talented writer, and this generally causes colossal difficulties, don't suffer! Obviously better to direct your energy and strength for actions you do best of all. Cuz a routine written job you can order by writers, it works everywhere. Send gifts to Karachi from USA .